Whenever your property has been damaged by sewage or another grossly contaminated water source, you need professional help to cleanup the mess. Sewage contains many harmful substances and pathogens as well as disease-causing agents that must be handled quickly and properly, ensuring your health and safety both during and after cleanup. 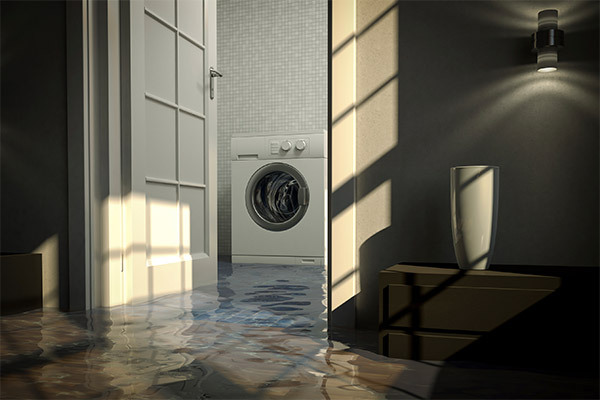 At Flood Restoration Services, our lines are open 24 hours a day and you will always reach a local water damage specialist who can dispatch a team to your location immediately. When we arrive, we will take action to limit the spread of the sewage and contamination to limit damage to your property. Because sewage contains harmful agents and substances, many items cannot be effectively cleaned and restored after coming into contact with sewage damage. Carpeting, drywall, insulation, and other soft or permeable items will need to be removed and disposed of. Hard surfaces must be cleaned and sanitized using high-quality disinfectants to remove any trace of harmful substances. It is critical that cleanup begins as soon as possible to limit the damage caused by sewage. Anything that comes into contact with the sewage must be cleaned or disposed of, so by limiting the spread of the sewage we can mitigate the damage and restore your property as quickly as possible. When your property is damaged by a sewage backup or other contaminated water source, we know how stressful and emotional it can be for you. When you call Flood Restoration Services, our focus is providing only the very best service, and we promise to take care of you and your property with care and respect. We’ll remove any debris from your property. You don’t need to worry about hauling away any contaminated materials. We will clean and decontaminate every surface, ensuring the affected area is safe and healthy for your family or employees. We’ll work with your schedule and will coordinate equipment checks and pickups at a time that is convenient for you.